I was delighted to be one of the artists whose design was picked for the Big Hoot Art Trail in Birmingham. 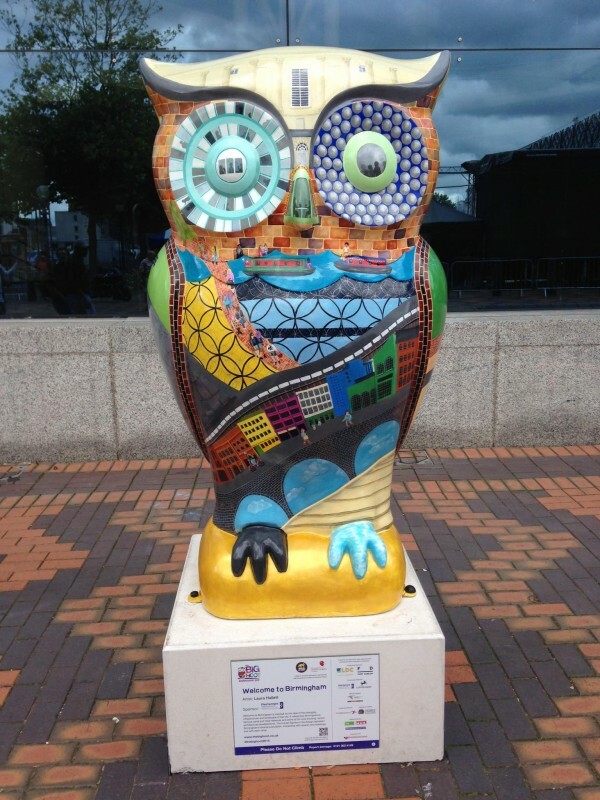 Painting my owl was a lot of work but also a lot of fun and he is now sitting proudly outside the ICC in the centre of Birmingham. Sponsored by Pertemps, you have until the 27th September to go and see him, along with the rest of the 89 strong flock scattered across the city!